Most families in rural China cook and heat their homes using stoves that burn coal or wood. Domestic energy use is a significant contributor to deforestation and greenhouse gas emissions. Coal use in particular leads to dangerous levels of indoor air pollution, and contributes to the poor outdoor air quality in much of China as well. There is a significant resource of biomass residue such as straw and maize cobs that could be used as fuel, but current stove designs do not burn this effectively. 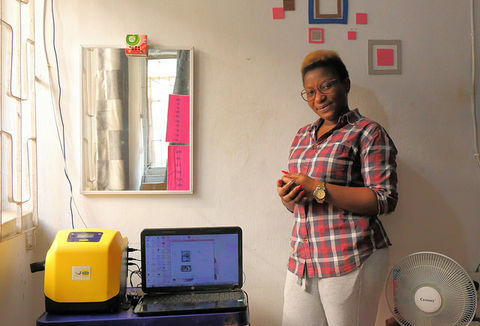 The Beijing Shenzhou Daxu Biomass Energy Technology Company Limited (Daxu) has commercialised an improved stove that can burn crop residues, both loose and compressed into dense briquettes, as well as wood. By partially gasifying the fuel, and then burning the gas with secondary air, the stove achieves a high efficiency (over 40%) and low emissions. It has been developed to suit the cooking needs of local farming families, and cook a stir-fry dish and steam rice at the same time. Some models incorporate a back boiler, to provide hot water and central heating. It's much cleaner - my kitchen isn't dirty and smoky like it used to be and we can wash properly now we have hot water - there wasn't much point in washing before anyway because it was so dirty with all the coal dust. Although many parts of rural China have access to mains electricity, most families still cook and heat their homes using stoves that burn coal or wood. 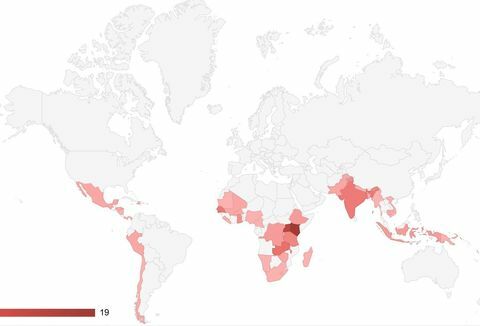 The government programme of improved stoves from the 1970s to the 1990s introduced better stoves to many millions of families, but domestic energy use is still a significant contributor to deforestation and greenhouse gas emissions. Coal use in particular leads to dangerous levels of indoor air pollution, and contributes to the poor outdoor air quality in much of China as well. Yanqing County, northwest of Beijing, is a typical rural area where most people are farmers growing maize, wheat and vegetables. Large quantities of crop residue are produced, including maize straw and cobs, and this is a potential fuel. However, it is too low in density to be used effectively in current stove designs. 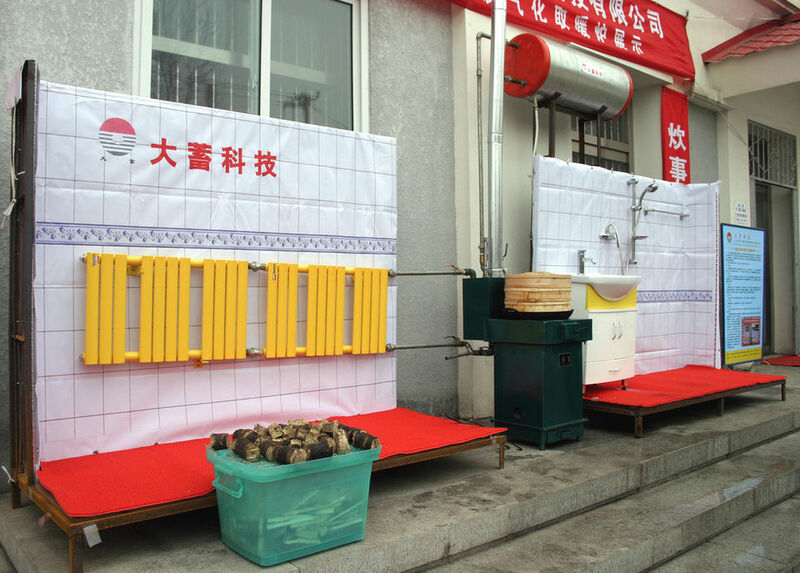 The Beijing Shenzhou Daxu Biomass Energy Technology Company Limited (Daxu) is one of several companies that have recently developed improved stoves that can burn crop waste as well as wood. 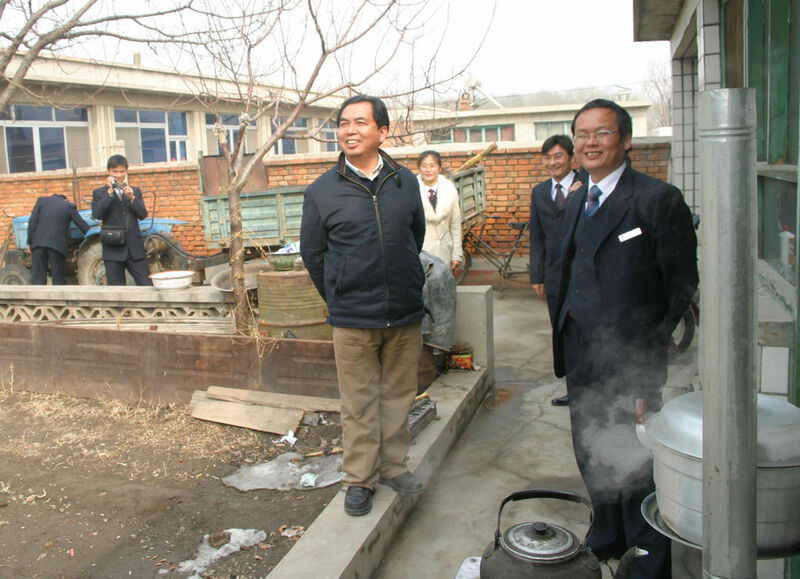 The Beijing Shenzhou Daxu Biomass Energy Technology Company Limited (Daxu) was established by Mr Pan Shijiao in April 2005, for the development and commercialisation of improved biomass stoves. 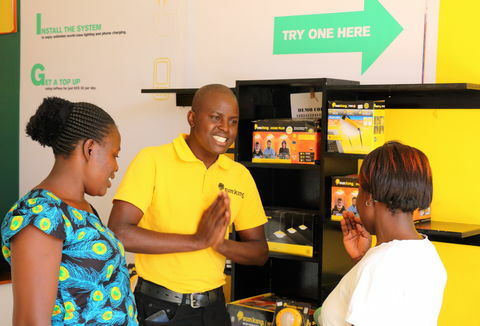 The company has expanded rapidly and currently employs 160 people. During 2006/07 it had a turnover of approximately £0.6 million. Production and turnover are growing rapidly. Daxu has developed the ’Great Storage Brand‘ stove for domestic cooking and heating which cleanly burns crop waste and replaces the use of coal or firewood. It was developed in consultation with local farming families, to fit with their cooking requirements. The stove uses gasification techniques to burn the fuel efficiently, and also ensure efficient heat transfer to the cooking pots. The fuel is initially burned with a controlled supply of air in a combustion box in the base of the stove. At this stage the biomass is partially oxidised to carbon monoxide and other gases, releasing some heat. These gases rise up an insulated internal chimney, and an inlet higher up the stove introduces secondary air, which is used to burn the gases and release more heat from them. The addition of secondary air enables more useful heat to be extracted from the fuel than in a stove with just a primary air supply, and it minimises the emission of gaseous pollutants and smoke. Because the secondary combustion takes place just under the hotplate, the heat transfer to the pot is very efficient. Waste gases are vented out of the kitchen through a chimney. The standard Daxu stove has hotplates for two pots, enabling rice and a stir-fry dish to be cooked simultaneously. Another version is available with a back boiler that can supply hot water for washing and for domestic radiators as well. Daxu stoves can burn any solid fuel, but they are specifically designed to consume crop or forest wastes, ideally in the form of briquettes. 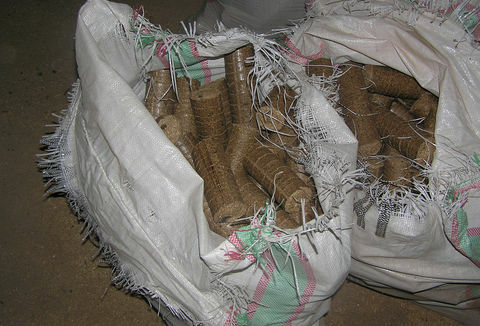 Briquettes are produced locally using electric power to compress and extrude powdered biomass residue. The high pressure combined with frictional heating, causes natural lignin to ooze out of the cells of the residue. Lignin acts as a glue, so that the briquettes are firmly bound and can be handled without crumbling. Studies elsewhere have shown that the electrical energy needed to achieve this is small, typically 5% of the energy in the crop material. Most users burn briquettes made from crop waste, although the stove can burn almost any solid fuel. In most cases the new stoves are replacing old ones that burned coal. Stove parts are manufactured and assembled in five Daxu factories. The manufacturing processes are straightforward, and can be carried out with standard metal-working equipment. 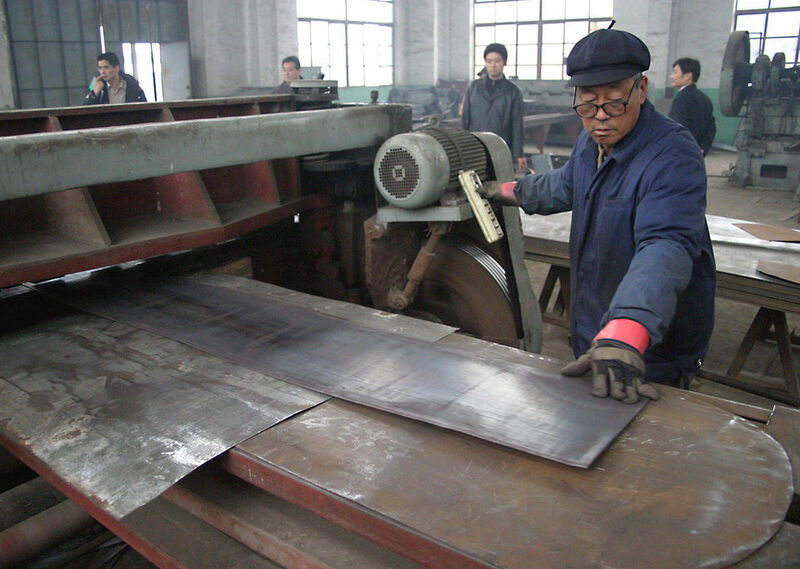 Most parts of the stove body are made from cold-pressed steel, which is bought in rolls from local suppliers, and mechanically cut and folded in the factory. Holes for pipework, vents and screws are drilled in the metal, and the main assembly is then welded, sanded and painted. The pipework is cut separately and added after the body has been painted. Development and piloting of the stove was carried out from 2003 to 2006, and factory production started in September 2006. Since then 25,000 improved stoves have been sold. 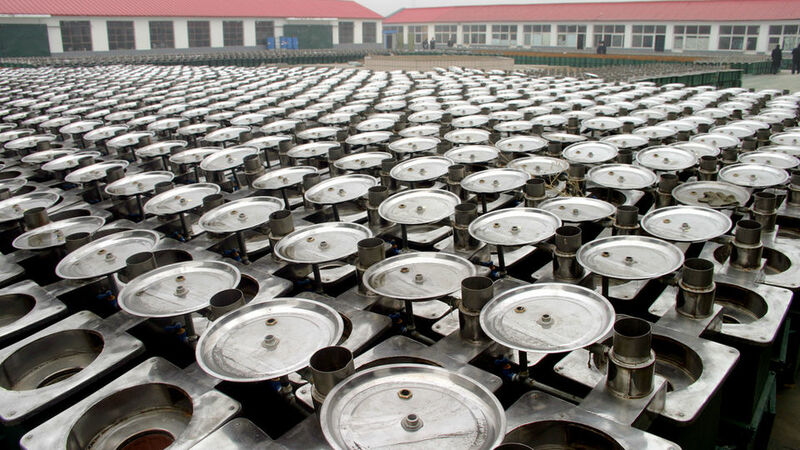 Daxu now has the capacity to produce about 100,000 stoves per year from its five factories. Daxu now has the capacity to produce about 100,000 stoves per year from its five factories. The full price of the recent stoves is about Y1,000 (£70). If a user wishes to use the stove to provide hot water and heat radiators, extra equipment must be purchased. In some regions, customers pay the full price, but in others the stoves are eligible for a government subsidy. For instance, in Yanqing county, where Daxu is the official supplier for a government programme, the cost to users is Y50 to Y200 (£3 to £13). For comparison, coal stoves are unsubsidised and cost around Y50 each. There are no official credit schemes, but some farmers borrow from family or friends. The cost of a Daxu stove can typically be paid back in six months from the money saved in reduced coal consumption. Many farmers gather straw and take it to the briquetting plant, and are paid with an allocation of free briquettes. Any further briquettes have to be purchased. The Daxu factories have passed Yanqing factory inspections, and Daxu is the only company to have achieved ’Enterprise Standard‘ for its stove production. Stoves are delivered pre-assembled to homes by Daxu technicians, who help choose the best place for installation to provide both cooking and hot water. The installers test the stove, and demonstrate how to light it and how it works. The customer receives a manual and the phone number for a 24-hour advice line. The stoves are straightforward to use, and can be taken apart by users for cleaning and then re-assembled. The stoves are guaranteed for six months. Daxu technicians return to each customer one week, one month, three months and one year after installation to check that the stove is operating correctly. Each stove has a unique serial number so that any problems can be traced through the supply chain. The expected life-time of the stove body is ten years and of the chimney, three to four years. Replacement chimneys can be bought in local markets. One of the major benefits of the Daxu stove is the high efficiency and associated low pollution. 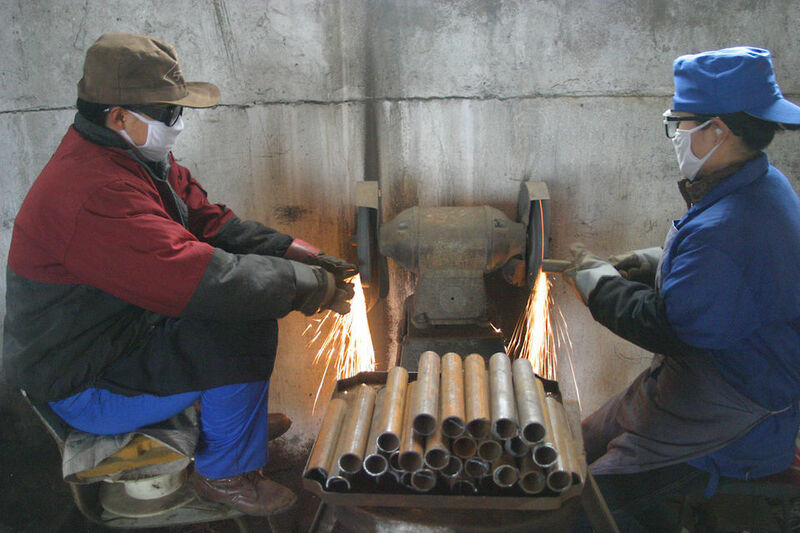 The Daxu stove was tested by staff from the Centre for Entrepreneurship in International Health and Development (CEHID) of the University of California. 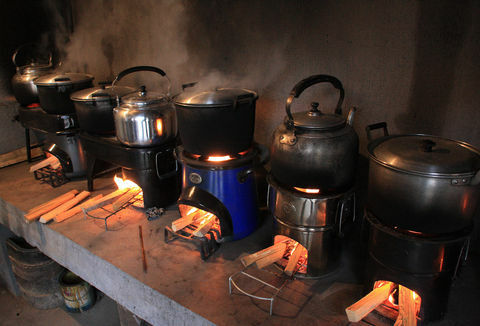 This testing was carried out for a stove competition, organised by the China Association for Rural Energy Industries (CAREI) and the Shell Foundation, to promote high performance biomass stoves for household use in China. The Daxu stove was the competition winner and achieved the highest efficiency of any entrant, reaching 41% with loose straw and over 42% with straw briquettes. This high efficiency conserves fuel and also means that a meal cooks quickly, typically in 20 to 30 minutes. In addition, the level of air pollution and smoke in the kitchen was low, which reduces damage to health such as respiratory disease and eye infections, and keeps the kitchen clean. In CEHID tests, average concentrations of carbon monoxide (one of the most serious indoor air pollutants) were less than 7 mg per cubic metre of air. Particulate (smoke) concentrations were about 22 mg per cubic metre when burning briquettes, although somewhat higher at 36 mg per cubic metre when burning loose straw. Coal is the most carbon intensive fossil fuel, and by replacing coal a Daxu stove avoids the emission of about 8.5 tonnes/year CO2. Since the crop waste is the residue of an annual crop that will be replanted, net CO2 emissions are relatively insignificant, as the next year’s growing crop will sequester carbon dioxide from the atmosphere. Another health benefit is that the stove is well insulated, so the outside stays cool (below 50ºC) which minimises the risk of burns. In early designs the fuel in the firebox had to be lit separately outside the stove, the box being slotted into the stove once alight. This could be seen as causing a potential fire risk. But more recent stoves allow users to load the fuel directly into the stove, and then light it. 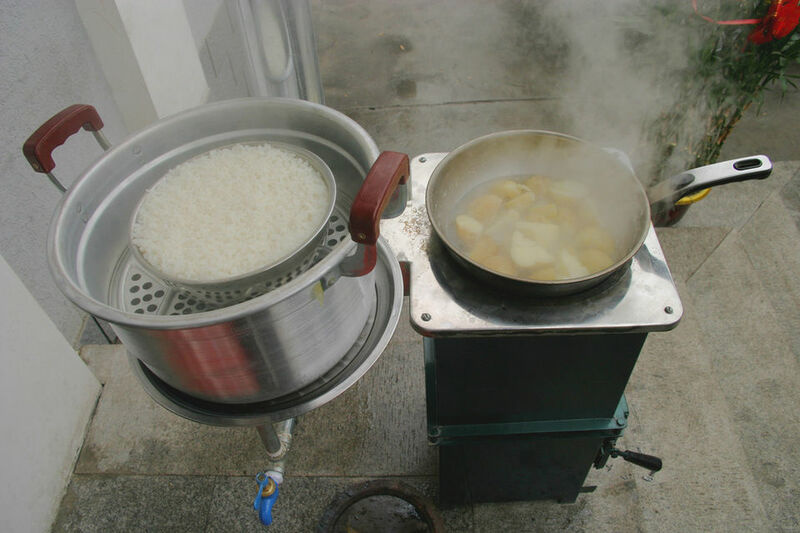 The Daxu stove's two hotplates allow a stir-fry dish and steamed rice to be cooked at the same time. Daxu has sold about 25,000 stoves since factory production started in 2006. A Daxu stove is generally used to cook three meals a day, and for extended periods of heating in the winter. About four family members benefit from each stove, so 100,000 people in total. For many families, the Daxu stove has provided hot water on tap and radiators to heat their houses for the first time, which makes a real improvement to both comfort and cleanliness. Washing in a basin with running water is more pleasant and hygienic than using a single, shared basin heated on the coal stove, and has reduced the number of skin complaints. Owners who previously bought coal for cooking have considerable financial savings. Coal costs about Y600/tonne and a typical household uses 3 to 4 tonnes per year, so pays about Y2,000 (£130). Briquettes cost only Y350/tonne. Although briquettes have a somewhat lower energy content (per tonne) the Daxu stove burns them with a high efficiency, so that savings are typically Y1,000 to Y1,200 (£70 to £80) per year This is significant in a region where agricultural incomes average only Y15,000 to 20,000 (£1,000 to £1,300) per year. Savings can be even larger if the users part-exchange briquettes for crop waste that they have collected for the briquetting plant, or use their own agricultural residues directly. However, some families prefer to increase their level of comfort with the new stove, particularly their use of hot water, and thus save less. Owners who use wood for cooking can more than halve their consumption using a Daxu stove, from typically 10–12kg of fuelwood per day to only 5kg per day, a saving of about 2tonnes per year. Much of this saved wood was produced unsustainably, so the wood saving also reduces carbon dioxide emissions. 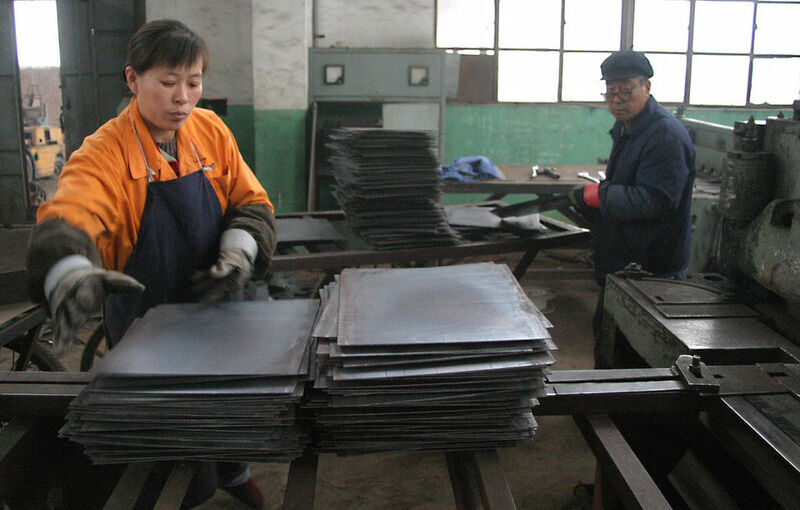 Production of the Daxu stove has created employment for 160 people in eight centres.